Phonographic Copyright (p) – Metropolis London Music Ltd. Copyright (c) – Metropolis London Music Ltd. Published By – Reach Music Publishing, Inc. 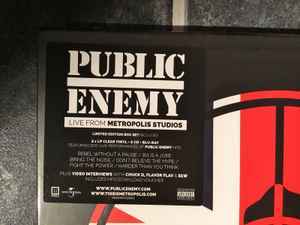 Published By – Suburban Funk, Inc. Published By – Kobalt Music Services America Inc.
Includes download voucher for mp3 version of all tracks.